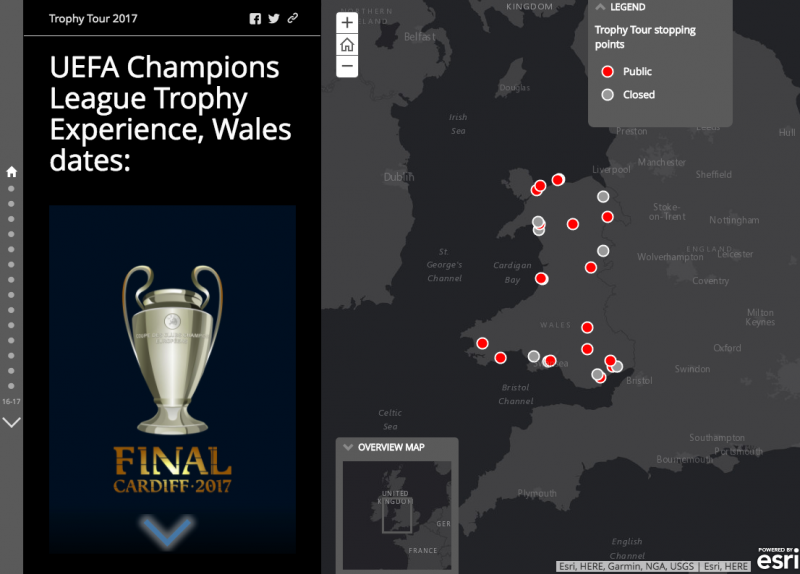 IDLdn recently completed an interactive map to support the UEFA Champions League Final in Cardiff. This interactive map uses the IDLdn event mapping solution to provide an embedded map which highlights all the stopping points of the trophy as it tours Wales. Creating and managing this application was a simple and painless process and the content can be changed on the fly.